Weight loss programs, weight loss clinics and weight loss advisors are plenty these days. Even unqualified “professionals” become self-styled “experts” in weight loss. 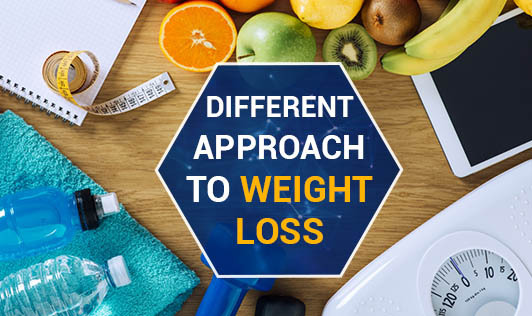 In spite of the large numbers of clinics and professionals, some people still struggle to lose weight or those that have lost weight, struggle to keep it off for a long time. The main reason for this is very simple and basic they do not stick to the professional advice of eating right and being physically active, for reasons best known to them. There could however, be another explanation for weight loss difficulties, which ancient science of Ayurveda might have known centuries ago. "Weight depends on the kapha dosha". Basically, when the digestive process is not smooth, the kapha dosha and ama increase in a person and this leads to excess weight. A person with predominant kapha dosha is also prone to weight gain. This perhaps can be compared to the basal metabolic rate that is explained in modern science. Kapha dosha can be balanced by balancing the gastric fires (jataragni). Weight loss treatment in Ayurveda consists of eliminative therapy where excess kapha is removed. This is combined with a balanced diet and some medications that regulate the fat metabolism. Apart from greasy foods and sweets, in Ayurvedic therapy it is also believed that cold foods, leftovers, heavy dinners and fasting should be avoided for effective weight loss and control.Lunch should be the main meal of the day because the digestion is strongest around noon (unlike modern nutritional science, which believes that breakfast should be the biggest!). Warm water taken throughout the day also helps to remove toxins from the body and improves digestion. Spices like fresh ginger (adrak), cumin (jeera), black pepper (kali mirch), fenugreek (methi), and turmeric (haldi) are great for digestion. No science - ancient or modern - is bad or ineffective. Each established science has a different approach to various health problems, excess weight being one of them. If the modern approach to weight loss does not suit some people, they should give the traditional science a chance.